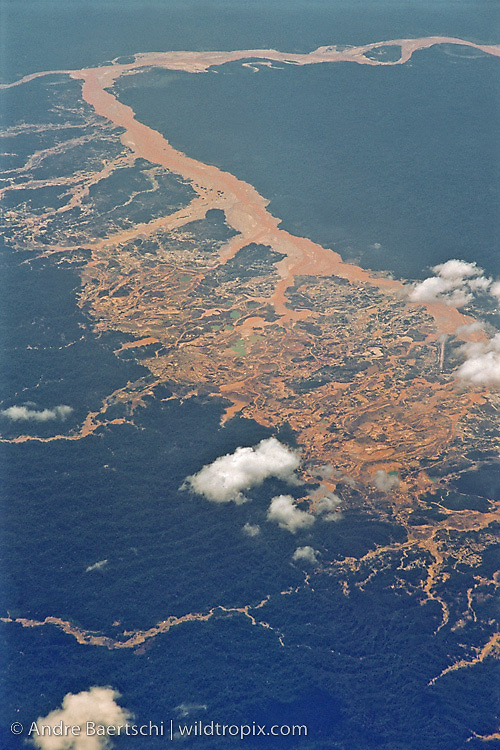 Large-scale gold mining in lowland tropical rainforest alng the Rio Huaypetue. Long time operation has turned the surrounding rainforest into a mud and graval pit. Madre de Dios, Peru.